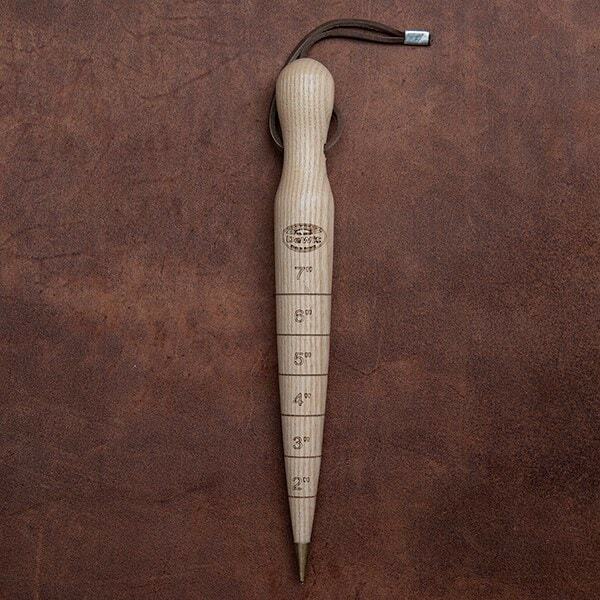 This attractive traditional wooden dibber makes it quick and easy to plant bulbs, potatoes, large seeds and seedlings. 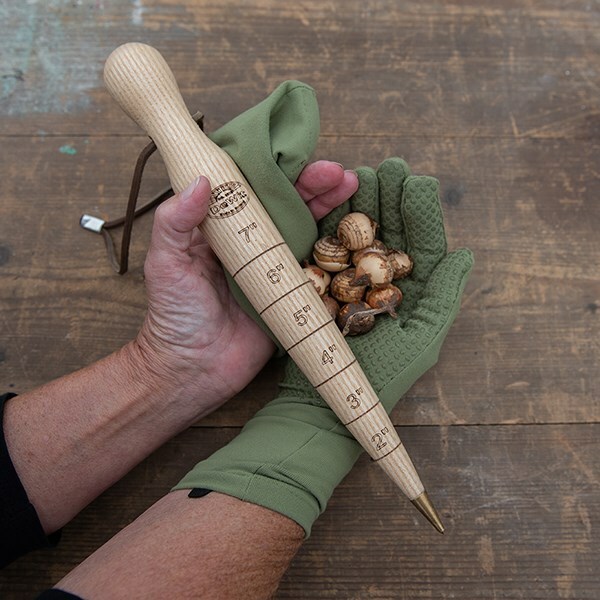 Handcrafted from solid ash, the brass tip makes it easy to push into soil and gives it extra toughness and durability. 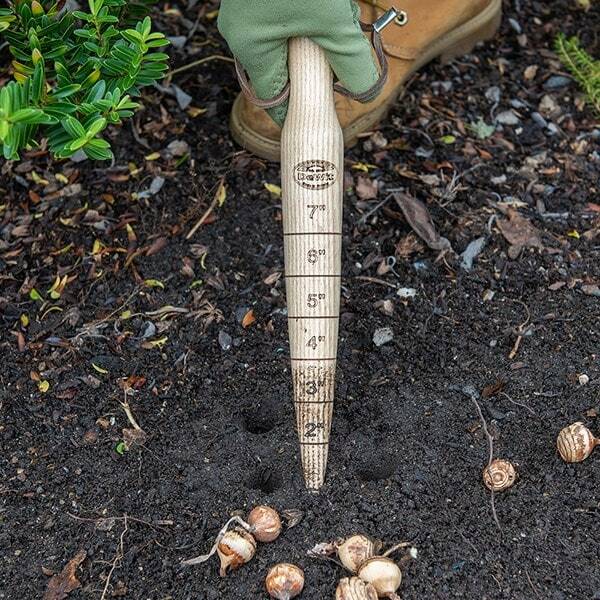 The side is engraved with inch markings for easy measurement of the right depth for your planting holes. 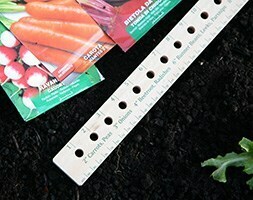 Best of all, a heavy-duty hanging cord lets you hang it up neatly so it won’t get lost in the shed!